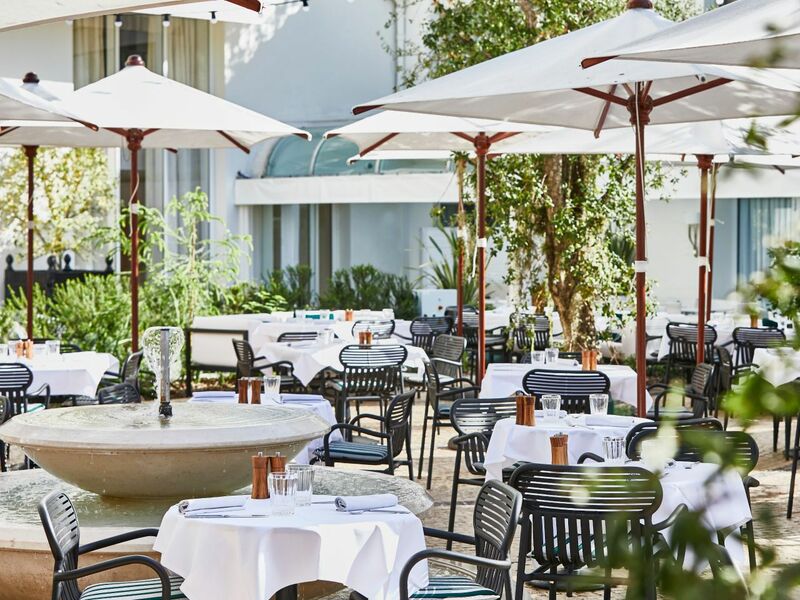 Celebrate the Riviera’s simple pleasures in a joyful atmosphere at Hôtel Martinez restaurants & bars. We take an innovative approach to restaurants and bars that place an emphasis on consciously sourced ingredients and local artisans’ produce. The chef in the pistachio-green jacket is well-versed in the history of the Hôtel Martinez. Born in Cannes, a lover and defender of his Provençal terroir, he has worked at the establishment since 2001; in 2007, he became the chef at La Palme d’Or restaurant, now boasting two Michelin stars and earning four Toques and 18/20 in the Gault&Millau guide. 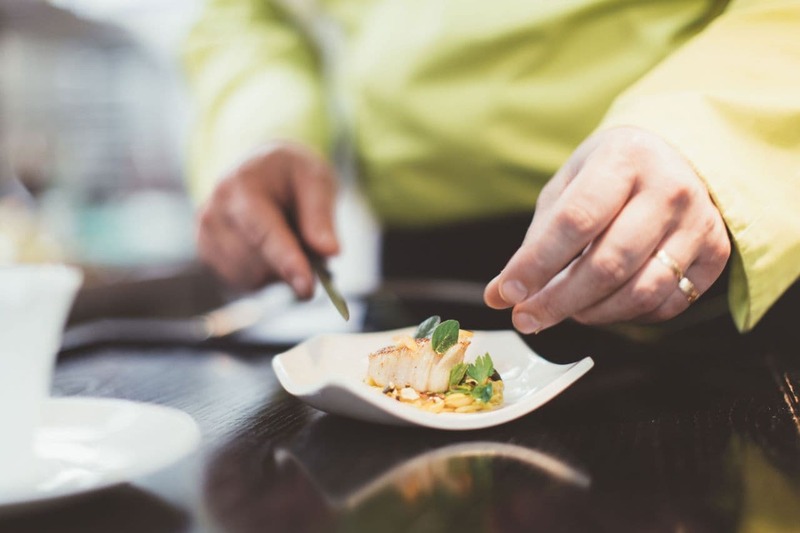 As Executive Chef of the Hôtel Martinez, he channels his creativity and style into the culinary artistry of La Palme d’Or and all the hotel’s other dining establishments. La Croisette has a new and exclusive place to mix and mingle: Le Jardin du Martinez, a unique, verdant getaway, a bucolic setting crafted by landscape architect Philippe Niez. A Mediterranean garden, with cork oak exuding the warmth of Provence, palm trees straight from a Côte d’Azur postcard, and grapefruit trees, myrtle, and lemon trees releasing their fruity fragrances across a 400m² terrace with the ambiance of a Provencal village square. It is entered through immense louvered shutters in the lobby, facing the garden through a large glass wall designed to resemble a Mondrian. The new Version Originale restaurant, designed by Pierre-Yves Rochon, seamlessly aligns with its time, a blend of inspiration reflecting the 1930s and the Miami of the 1950s. A relaxing place serving breakfast, lunch, and dinner, also a tea room, welcoming guests throughout the day. 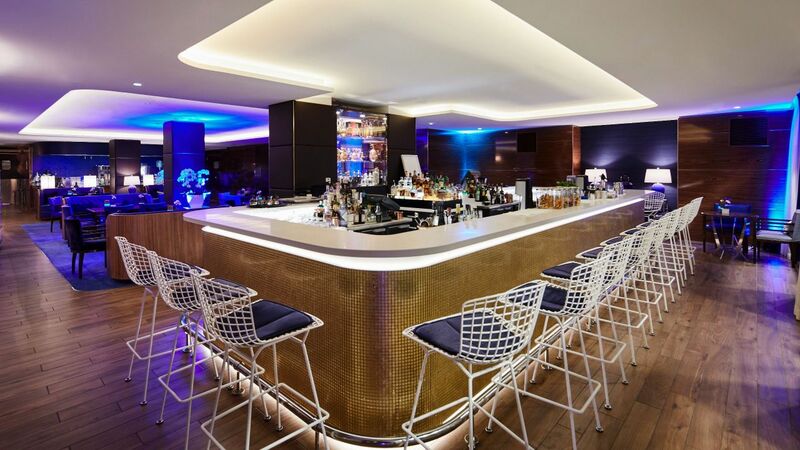 In a symbiotic expression of the hotel’s very beginnings, the new Bar alongside Le Jardin celebrates the spirit and freedom of yachting. Pierre-Yves Rochon chose a glamourous retro theme, with varnished rosewood woodwork, blue leather, and hints of gold exuding all the elegance of the seaside. 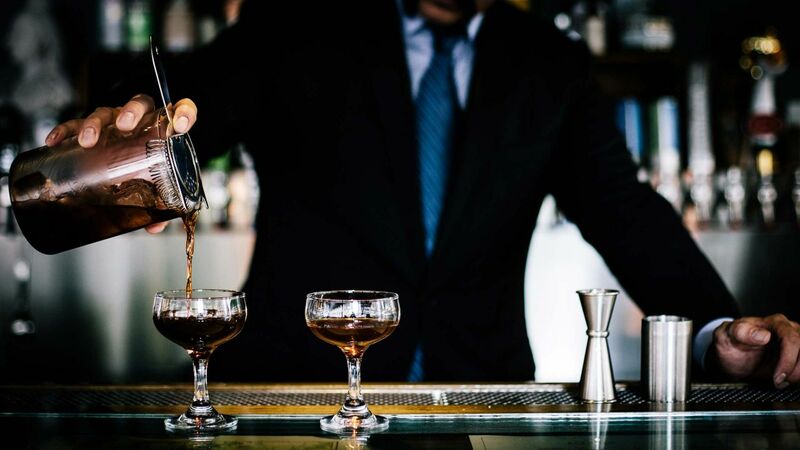 It is the place to go to sample the snacking signed by Chef Christian Sinicropi, enjoy a cocktail creation , or sip one of the 22 gins in his selection. A few notes float of live music; the night only comes to an end when you wish. Look out for the Gin & Tonic Trunk that is seasoned with fresh herbs and spices to create a unique drink for every guests. 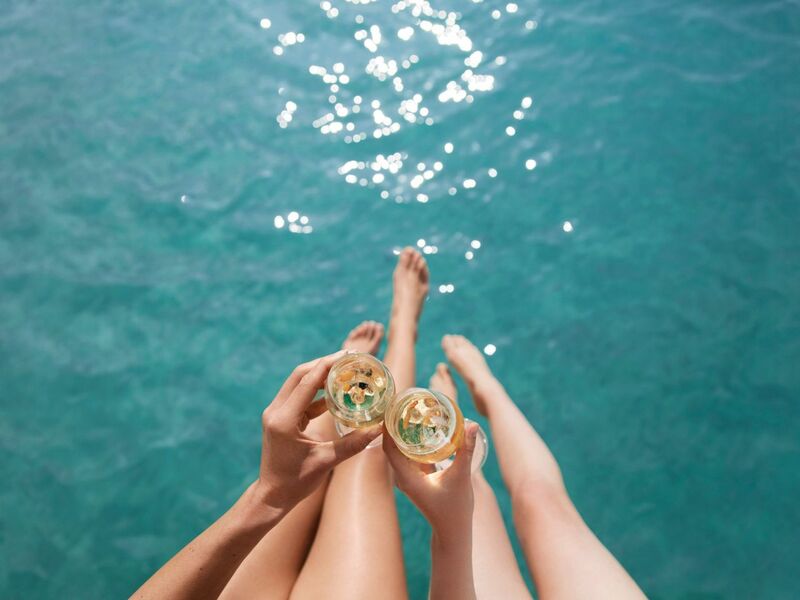 Beneath the French Riviera sun, caressed by soft breezes that tickle the palms, welcome to a place of unique experiences from sunrise to sunset. 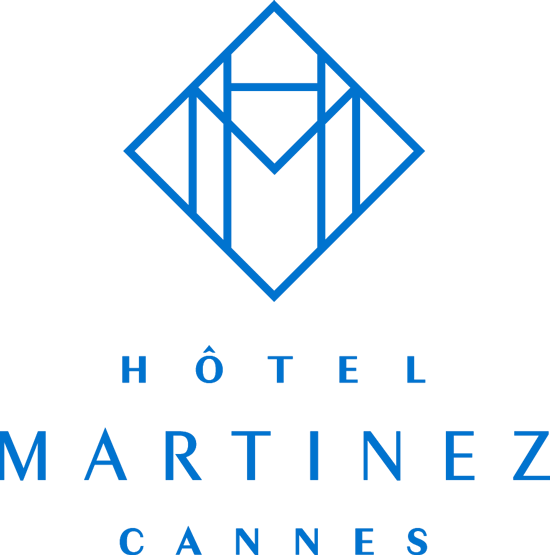 This breathtaking venue, with views of the translucent Mediterranean lined by soft, sandy beaches, boasts the signature Hôtel Martinez look and feel, with inviting, wood-accented designs of white and blue. The innovative food and beverage offer, paired with sophisticated entertainment, ensures lasting emotional impact. The “Fun-Key Gourmet” concept, featuring powerful aesthetics and a groundbreaking approach, will redefine the Cannes beach-club experience. Dicover our new private beach ! 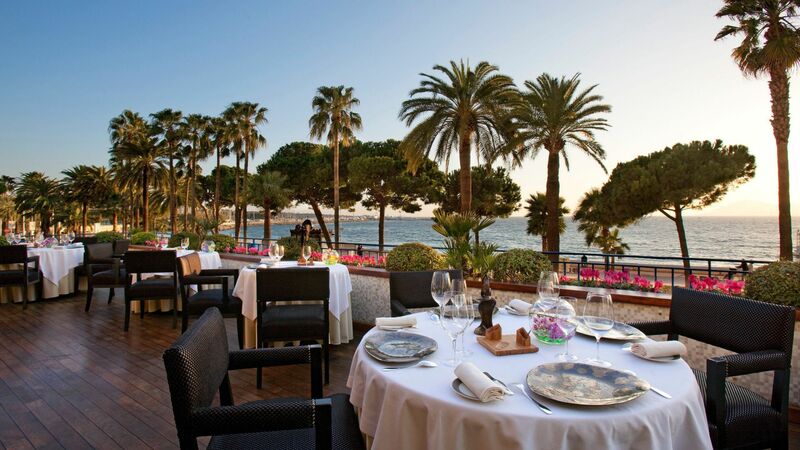 On the first floor of the Hôtel Martinez, offering a beautiful balcony over La Croisette, the gourmet restaurant La Palme d’Or, with two Michelin stars and four Gault&Millau Toques, has joined the very exclusive circle of great dining establishments. 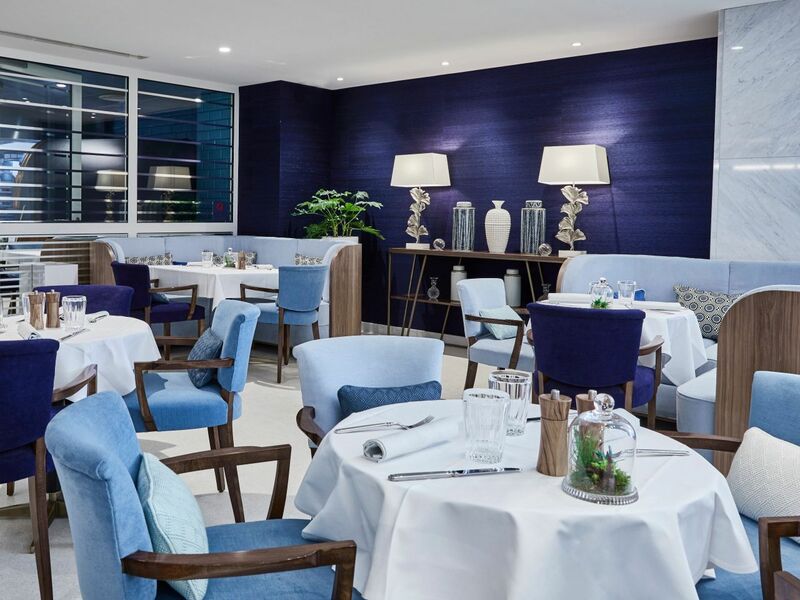 It is an enchanted setting on the Bay of Cannes where Chef Christian Sinicropi serves his cuisine for the senses – ever daring, always inventive. With extensive experience at some of the world’s most renowned gourmet establishments, Guillaume Mantis directs the service in the dining room. At La Palme d’Or restaurant, the tableware from ''e=sc2'' is designed by Christian Sinicropi and crafted by his wife, Catherine. Several years ago, having mastered the secrets of ceramics, the couple began creating plates and other utensils to hold the chef’s entire culinary composition. GIFT VOUCHER | A unique & delicious present to offer without hesitation ! At the Restaurant ''La Palme d'Or'' from € 175, at the Restaurant ''Version Originale'' from € 70 and at the Martinez Bar from € 50.